In over recent articles, we’ve shared a lot of stuff related to WhatsApp like WhatsApp Mod Apk, GB WhatsApp, FMWhatsApp, etc. Today, in this article, we’re going to share something even more interesting which probably would be out of your expectation. Well, as a normal user, sometimes you might get a feeling of sneaking into another person’s WhatsApp chat history. In fact, a lot of people actually asked us to provide guides on How To Install and Use Whatsapp Sniffer Apk 2019 Version. So, for those who aren’t able to hold their desperation to sneak into others’ chat history, we’re going to put an end to your desperation with WhatsApp Sniffer APK Latest Version. By the end of this article, you will be able to see anyone’s chat history on WhatsApp. Well, before diving into the topic, please keep in mind, that this article is for educational purpose only. Sneaking into others’ chats can be fun, but you would end up in trouble if you misuse it. Well, after reading the first two paragraphs, I’m sure the first thing you would get in your mind is WhatsApp hacking. But, to be clear, this isn’t hacking or any kind of cracking. In fact, we will be making use of a third party application that lets users read anyone’s WhatsApp chat contacts and history. Although, the application is a bit complicated to use, but hey, why we’re here then? We’ve made it easy with the help of How To Use WhatsApp Sniffer Apk Guide. So, once again, if you think this is WhatsApp hacking, then you’re wrong. No one can hack WhatsApp just like that, and it’s not possible either in practical. We have come across a lot of such WhatsApp hacking guides on the web. Since this is an informative blog; we must warn our readers to stay away from such guides. But the guide of How To Use WhatsApp Sniffer Apk which we’re sharing is fully safe. 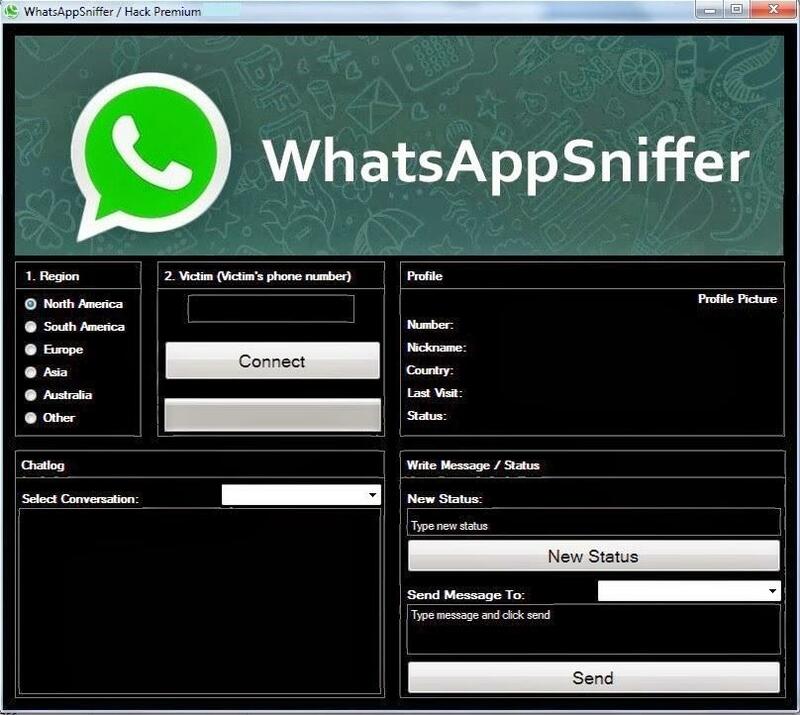 What Is WhatsApp Sniffer App? 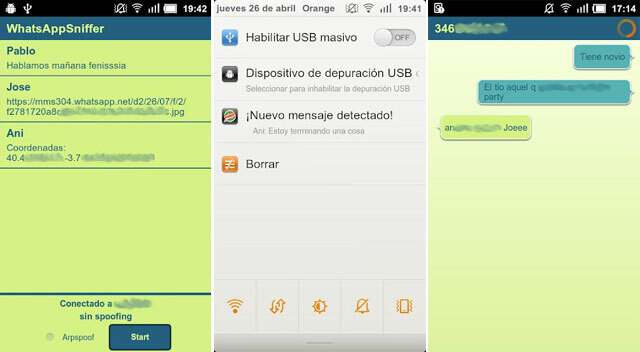 WhatsApp Sniffer is entirely a third party application that works only on rooted Android devices. Basically, the app lets you read other people’s WhatsApp chat messages, group messages, shares, etc. on your Android device. The only downside of this app is that it doesn’t work on devices that do not have root privileges. You should either go ahead and root your device to use the app, or just forget the thought of sneaking into other’s WhatsApp chat messages. Now you might be wondering how the app can let users see others’ chat logs. Well, WhatsApp Sniffer actually steals the chat logs and history of others when you and the victims are connected to same Wifi Network. You can basically hop into anyone’s WhatsApp chat history as long as they’re connected to your wifi network. In situations, where you and the victim are not connected to same Wifi network, the app won’t work. Another good thing about WhatsApp Sniffer App is that it’s completely free of cost (For both downloading and usage). In fact, it doesn’t even feature any annoying advertisements and doesn’t require any separate registration as well. The app is pretty small in size and lightweight. You can use it on any Android device without any issues using our How To Use WhatsApp Sniffer Apk guide. Well, the ability to sneak into anyone’s chat logs sounds pretty interesting. But, still, if you think it’s not worth your time, then having a look at its features that might change your decision. First and foremost, WhatsApp Sniffer is absolutely free of cost. You don’t need to have any kind of subscription or membership to use the app on your Android device. WhatsApp Sniffer Apk does not only allow you to read others’ WhatsApp chats but also delete or save them with just one tap. You will receive notifications of messages whenever your victim gets any messages from their contacts. Besides, you can also view them in real time. WhatsApp Sniffer Apk lets you read both the sent and received messages from your victim’s WhatsApp profile. Make sure you have the following things ready before jumping into the How To Use Whatsapp Sniffer Apk guide on your Android device. Your device and the victim’s device should be connected to the same Wifi network. A fully functional and rooted device is must to use the Sniffer apk properly. First of all, you need to install the Apk file format of WhatsApp Sniffer. In order to do that, go to your Settings App > Developer Options > Enable installation from unknown sources. By doing this, you will; be able to install the Apk files on your Android device. Now download the latest Apk file format of the app from the download link. The downloading of Apk will begin automatically and would be over within a couple of minutes. As soon as the downloading is over, open up your “Downloads” folder and tap on the Apk file to begin the installation process. During the installation, the app may ask for root privileges, just grant the necessary permissions to proceed further. Once the installation process is over, you’re all set to read anyone’s chat messages for free. For that, you just need to launch the app and complete the registration process by entering your Mobile number. As soon as the registration is over, you will get the homepage of the app from where you can start your process. On the homepage, you will find all the persons’ contacts who are connected to your Wifi network. Now select anyone’s profile to see their chat logs and messages. The victim will not be able to detect that you’re reading their chat messages. So go ahead and prank your friends using this simple guide on How To Use WhatsApp Sniffer Apk. Tweak your WhatsApp to get into others WhatsApp to tease your friends and family members using WhatsApp Sniffer. Just go through the instructions provided above to make it work without any issues. Please note that this article is shared only for educational purposes and it should not be misused. If you have any doubts and questions about the guide, please comment below.